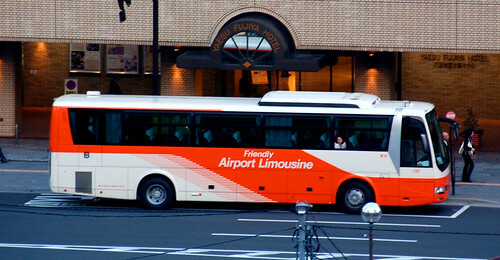 Indeed the limousine bus is convenient in that it will take you from the airport to your hotel in Tokyo, still it's very subjuct to possible traffic jams. The Limousine Bus Company offers a page where current durations to each destination are listed. Unfortunately, the service is only in Japanese, so I'd translate the names of the destinations etc. You can refer to the site at the same time of day and week as you plan to travel before you come to Japan to see how long your trip will likely take. The figures above are the track records, and the arrival times can't be guaranteed. The coach may arrive slightly earlier or later than them depending on traffic from now onwards. Please utilize this chart only to get a rough idea on the duration. Of course you can ask the ticket sales clerk at Narita Airport how many minutes it will take you to get to your destination when you're about to purchase a ticket. If it sounds too long, you might just as well switch to the train. 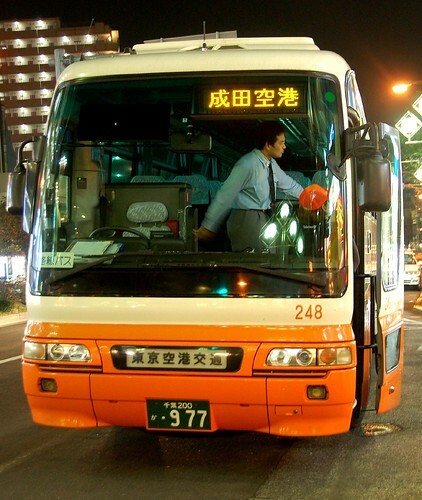 As of 18 Sep, 2008, there is a page stating the current durations of the limousine bus service in English...Sorry for the fact that I've missed it.